To create a line graph, I am going to reuse the same project that we used for drawing bars in the previous part of the series. We won’t need the logic for drawing bars anymore, so comment out a dozen of lines of code in the end of the drawRect method, those that deal with bars. For some simple cases this graph might be acceptable, but there are a number of ways in which we can enhance it. One of them is to make the data points more noticeable. In Quartz 2D, to draw a circle or ellipse, we first need to create a rectangle (CGRect) that will define that circle’s dimensions. The simplest way to create such a rectangle is to use the CGRectMake function that takes four parameters: the x and y coordinates of the upper left corner of the rectangle, then its width and height. The next enhancement we might want to make is filling the space underneath the graph with a color. The steps needed to create a graph filled with color are very similar to those for creating the graph line itself, the only difference is that we need to create a closed path. Let’s see how to do that. 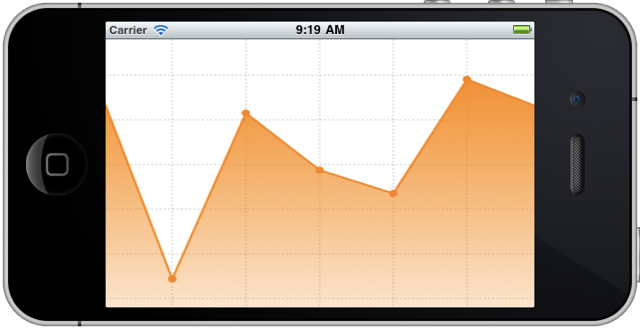 To make it nicer still, we might want to fill the graph with a gradient. You already know how to create a gradient, so it should be easier this second time around. Not bad, is it? 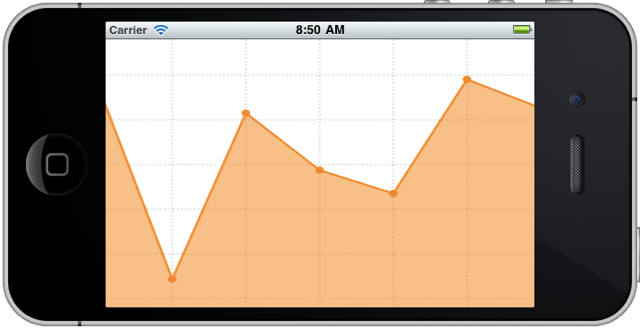 And of course, you can tweak the gradient if you wish. Now we know how to draw both a bar graph and a line graph. They look good but they are not interactive yet. 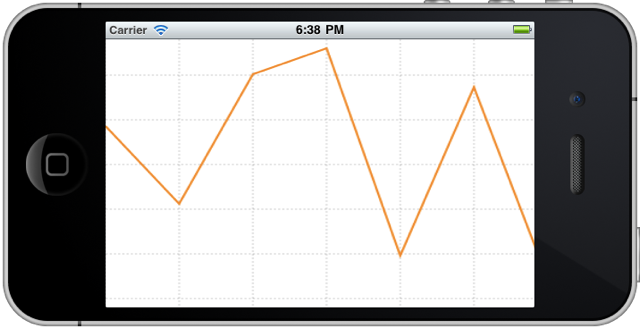 It would be nice if, say, when the user taps a bar, the graph would display a message appropriate for that bar. This is exactly what we are going to deal with in the next part of the series. Alexander Kolesnikov’s series on Creating a Graph using Quartz 2D was split into 5 parts. You can refer to the series using the Quartz 2D Tag and access the individual articles using the links below. Alexander wrote his first program in FORTRAN in the year 1979, in Java - in 1996, and also spent a number of years doing Web development with PHP. He is now a founder and a Director of Sirius Lab Ltd, a company offering solutions for iOS and Android platforms. You can also read his Sundraw blog.